Professor Michael Rees, Professor of Cardiovascular Studies at the University’s School of Medical Sciences, was one of four Doctors who founded the European Society of Cardiac Radiology 15 years ago in Vienna. This society has grown considerably in terms of membership and activities over the years. 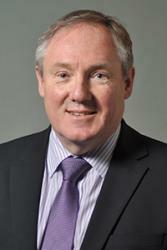 Professor Michael Rees was the third president of the Society from 2008-2011 and then the past president from 2011-2014. He hosted the annual meeting in 2013 in London, which was the first time the meeting had come to the UK. During Professor Rees’ term of office, the Society instigated the European Board examination in cardiac radiology which is now the standard examination in Europe for cardiac radiology and will now be adopted in Asia as their Board examination. Prof Rees was also the first person to take the examination. The society has grown and now has membership from all European Countries and associate membership from around the world with close relationships with the corresponding Societies in Asia and North America.